We've long been fans of Sally Lloyd-Jones' The Jesus Storybook Bible, so when I saw Thoughts to Make Your Heart Sing, a children's devotional book by the same author, at TGC's Women's Conference, I snagged a copy for our oldest daughter. Since she recently became a Christian, I wanted to give her something to help foster her growing relationship with the Lord. In the week and a half since her baptism, we've read an entry in this book every single day, and it has sparked lots of conversations about what God is like, who we are in relationship to him, how to pray, and what it means to be His person. Thoughts to Make Your Heart Sing is a beautifully written and illustrated book, and I love that it's simple enough for my almost-first-grader to understand without watering down profound spiritual truths. Lloyd-Jones is a master wordsmith. In a recent interview for Christianity Today, she said that she writes with her niece and nephew in mind, seeking the best way to describe spiritual truths honestly yet simply. Describing Sin: "God made his children's hearts to join together in the wonderful Dance of Joy—orbiting and circling around him. But we put ourselves in the center instead of God. We put ourselves in God's place—which is what sin is." On Praise: "God didn't create us so he could get joy—he already had it. He created us so he could share it. He knows it's the thing your heart most needs to be happy. When God says, 'Glorify me! ', he's really saying, 'Be filled with Joy!' He's inviting us into his Forever Happiness." God's Timing: "Does it seem like God has forgotten about you? If God is delaying, it's not to make things worse. It is always only so he can make things better." I may or may not be finishing off my own quiet times with a page or two from the book. It's a keeper. I mean, just look at some of these pages. Gorgeous, right? It's been a great tool for us to help teach our daughter some spiritual disciplines in this early stage of her walk with Christ. If you're looking for a child's devotional book, I can't recommend Thoughts to Make Your Heart Sing highly enough. You won't be disappointed. Until next time, grace and peace. Reading Corner: It's National Reading Month, Y'all! I don't know who named March national reading month, but I'm glad someone did. 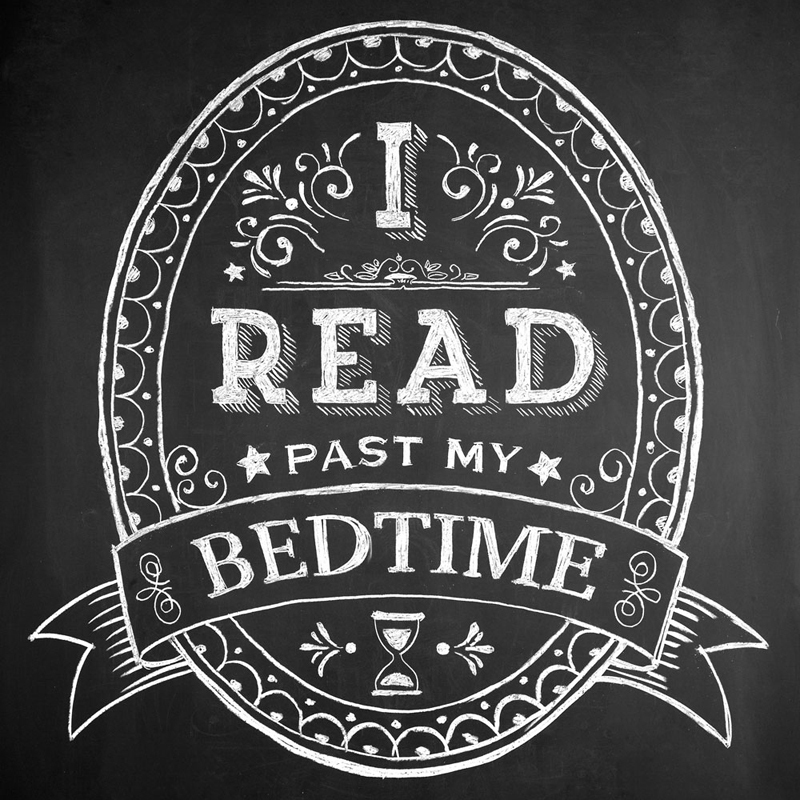 It's no secret that I'm a self-proclaimed book nerd. I LOVE reading. Granted, there was a time in my life when books and I quit hanging out for a while, but our separation was short-lived, and as my husband can attest, more often than not, I have my nose stuck in a book (or glued to my Kindle, but it's all the same, right?). I recently read an article that claimed that readers of fiction are more compassionate and empathetic than our non-fiction-loving peers. Reading fiction helps us see things from someone else's perspective. Through books, we visit places we've never dreamed of and become friends with people who are quite different from ourselves. Reading literature exposes us to a vast array of opinions and mindsets in the form of characters, which has the real-life effect of helping us understand where other people are coming from. That seems like a good reason to read a book this month, don't you think? National Reading Month has given me the push I needed to introduce a new little section of the blog that I've been thinking about for a while. I thought I'd pop in every now and then and share my recent reads and thoughts on them. I'll tell you if I loved them or hated them or just kind of tolerated them. I'll give you the reasons why you should read them AND the reasons you should avoid them. And we can both pretend that we're having this conversation face-to-face on my couch. Preferably while we're enjoying steaming mugs of hot chocolate. All of that to say, be on the lookout for book reviews and updates on my recent reads in the Reading Corner. Until that time comes, though, I'd love to hear from you. What have you been reading lately? How has reading affected your understanding of others? You may or may not remember that one of my goals for 2011 was to read more consistently. I've always loved reading, but in recent years, my reading has been practically nonexistent. That needed to change. It took me a while to get back in the swing of things, but during the last half of 2011, I started reading again. One of the first books I read was Robert West's biography on Saint Francis. I've always been fascinated by the saint who stripped down to his birthday suit and renounced his former life of wealth, and West's biography gave me greater insight into the life and theology of a man who would do such a thing. I read Saint Francis immediately following my reading of David Platt's Radical, and while it may seem like the books have nothing in common, together, they challenged me to do life differently. After reading these books and discussing them with Dennis, we decided to adjust our finances in order to give more freely. It may not seem like much, but it's a start. At only 221 pages, Saint Francis is a quick read, but the story was bogged down at times by West's writing style. He meticulously describes the historical and cultural world that Francis lived in, but he could have done a better job of weaving those details into Francis' actual story. As it stands, the historical passages seem a bit disjointed from the overall thrust of the book. All of that said, I would still recommend this book to anyone who is curious about Francis of Assisi, a man whose great concern for the poor and personal vow of poverty literally changed the world. This book was provided to me free of charge by Thomas Nelson publishers in exchange for my honest review. If you're interested in becoming a reviewer for Thomas Nelson, check out BookSneeze. It’s so nice of you to stop by. I’m Leslie Ann. A wife, mama, writer, designer, Bible teacher, and the founder of Muscadine Press. So glad you’re here!